Crowns - Willow Grove PA - Kent Lane Mueller D.D.S. Teeth with significant damage, decay, or imperfections are often treated with a dental crown. Crowns completely encase the natural tooth in order to restore function and aesthetics. 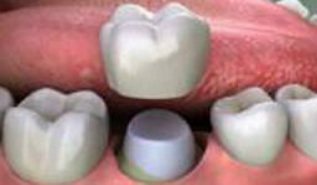 Crowns are also used to protect a tooth that has recently had a root canal and to complete a dental implant. In many cases, crowns are created using porcelain or another tooth-colored material for optimal aesthetic results. Crowns are customized to match the shape, size, and color of your other teeth in order to give you a natural-looking smile.